Prizm Media is on 2014 "Ready to Rocket" ICT List. - Prizm Media Inc.
Prizm Media is on 2014 “Ready to Rocket” ICT List. 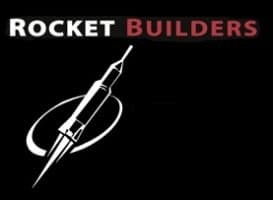 Prizm Media has been recognized as one of the top twenty-five private companies listed on the Rocket Builders’ 2014 “Ready to Rocket” ICT list! “Ready to Rocket” is a unique business recognition list that profiles B.C. technology companies with the greatest potential for revenue growth. The List features top technology companies that are best positioned to capitalize on the largest growth trends in the technology industry. Prizm Media is featured in their 12th annual list released on March 12th 2014. “This award reiterates our belief that Prizm Media is on the fast growth path. Our compliant, innovative and viable business practices are the key to our growth in the Industry” said Zeeshan CEO and Co-Founder of Prizm Media inc. Thank you all for the support, we look forward to provide better in the Industry!